Click links in the right column for geographical listings. 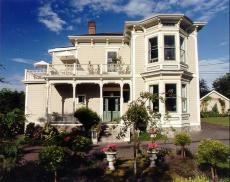 An Historic Bed and Breakfast Inn located in Victoria, British Columbia, Canada on Vancouver Island. Fairholme Manor bed and breakfast is a delightfully restored Victorian mansion offering full amenities in private suites overlooking the innâ€™s beautiful private gardens against the scenic backdrop of the Olympic Mountains and Juan de Fuca Straits. Imagine…..a spectacular luxury golfing & oceanside retreat with deluxe accommodations surrounded by ocean, a golfers paradise, an on-site CPGA golf professional, scrumptious homemade daily breakfast and a place to call home while on vacation. Bed & Breakfast On The Green boasts an environment of relaxed luxury, romantic settings, sweeping views, spacious themed rooms and amenities that rival most hotels. You will be energized by the natural surroundings and breathtaking views around every corner. 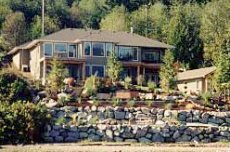 Crystal's View Bed and Breakfast is an executive Vancouver accommodation that offers a charming European atmosphere with all the comforts of home. Relax in private, guest accommodations and enjoy a full breakfast to start your day of adventure. 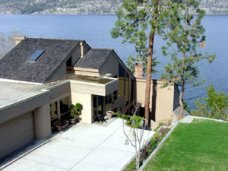 Romantic B&B retreat in the most spectacular part of Vancouver. We have two private and charming three room suites for our guests. Each suite has a private entrance living room bedroom and bathroom. Close to ocean mountains ferries and downtown Vancouver. Situated at the edge of a rain forest. Miles of nature trails at our doorstep. Licensed by the City of West Vancouver Member of the Western Canadian B&B Innkeepers Association and endorsed by the Western Canada Travel Smart Book. 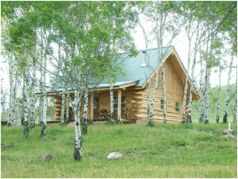 Enjoy your stay nestled amongst tall aspen trees in this 1000 square foot, three bedroom log cabin. Built and decorated by your hosts, Jim and Heather O'Connor, the cabin is the perfect place to escape from the pressures and surroundings of everyday life. The kitchen is fully equipped and all bedding and towels are supplied for your stay. Covering more than fourteen-hundred acres, Seven Half Diamond Ranch is a perfect spot for a family vacation or for a couple's private escape. 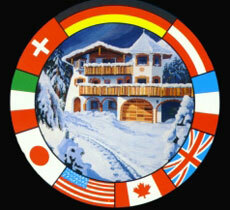 Surrounded by Pine Trees, and dramatic Mountain peaks, Haus Heidi is yours to enjoy year round. 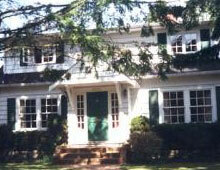 The summer, spring and fall seasons offer cycling, hiking, golfing, horse back riding and tennis. Windsurfing, canoeing, swimming and sunbathing are popular activities at our five local lakes. Enjoy world class skiing in the winter months at Whistler and Blackcomb Mountains; they have the longest vertical drop in North America. Whistler also offers 26km of well groomed cross-country trails along the valley floor. Amenities included sauna and whirlpool.